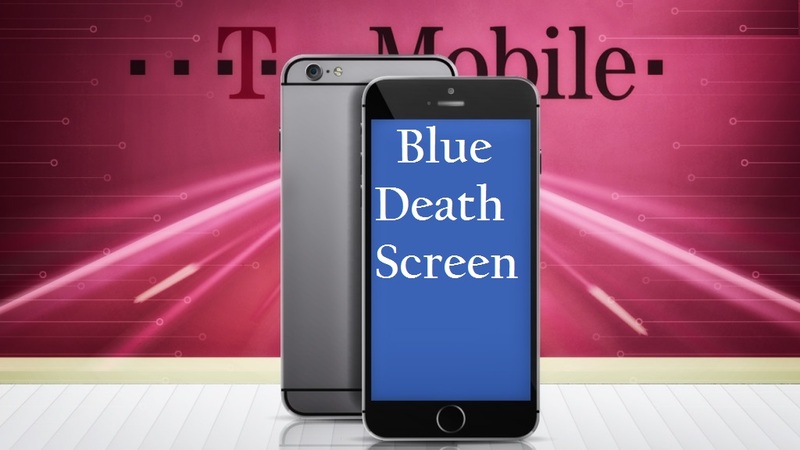 Hope everyone aware of Blue Death Screen in Microsoft Windows, but did you heard same Blue Death Screen problem on your smartphone and that too on iPhone ? Sounds wired right ?? But that's true. Some of the iPhone users on T-Mobile network have reported frequent restart, Blue Death Screen cashes, and Freezing (getting hang) problem on Apple community forum and Reddit. Till yet the root cause of the problem have not been identified and neither Apple team have commented anything on this issue. But According to the reports, iPhone 5S, iPhone 6 and iPhone 6 Plus devices running iOS 8.1 or 8.3 on the T-Mobile network are affected.